This is the Canadian’s third studio album. He won Juno Awards in 2004 for Album Of The Year and Rock Album Of The Year, thanks to his debut album, We Were Born In A Flame (He also won for Artist of the Year that year). It’s not a surprise that he has received such accolades, as his sound is accessible rock/pop, with 1970s guitar rock influences as well as slight touches of alt-country. 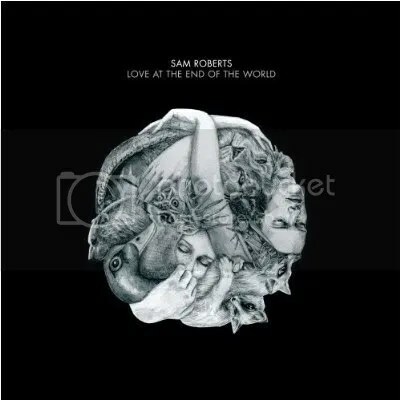 Roberts has a smooth voice; on several songs, he sounds like a more rockandroll Elliott Smith. The overall sound is similar to that of fellow Canadian Luke Doucet, albeit more poppy. This album is an excellent listen. This entry was posted on February 23, 2009 at 12:00 pm and filed under TheSlacker. You can follow any responses to this entry through the RSS feed.